Julie Dawkins Family: All Things Baby!!! Today is a very big day for us. We are getting our new niece this afternoon. My sister went into the hospital this morning to be induced and I can't wait to hold our newest little one. So in honor of the big day I am posting All things Baby! 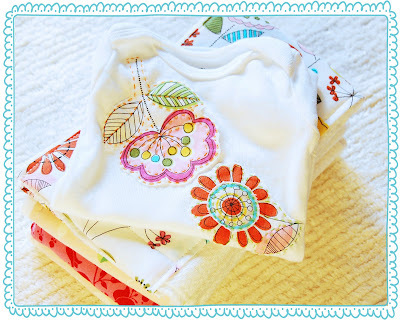 Iron on Applique and Easy to Make Blanket from A Feathered Nest. Use those Stamps and Ink away on onsies! American Craft Studios show you how. Bitty Booties. She gives you a free tutorial for personal use. So cute! 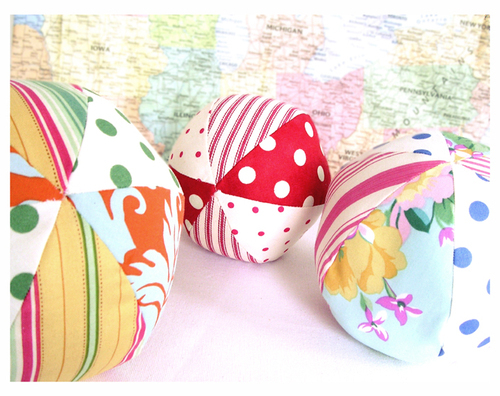 Fabric Stuffed Balls from Grand Revival Design. Stuffed Taggie Animals from Homemade by Jill. So cute!